A leading cause of hearing loss is sudden or prolonged exposure to noise. However, once you notice that you may have hearing loss, it’s often too late to protect your hearing. That’s why hearing protection is extremely important, especially if you are regularly in a high-noise environment due to work, hobbies, or both. The Hearing House offers several types of hearing protection for industrial workers and home/hobby use. Our clients exposed to noises such as lawn mowers, truck engines, motorcycles, garbage trucks, chainsaws, pneumatic drills, jet engines, rock concerts and gunshots benefit from custom earmolds and earplugs for greater protection. Earplugs fit in your ear canal. At The Hearing House, we create custom earplugs for our clients that are usually more comfortable than over-the-counter earplugs. 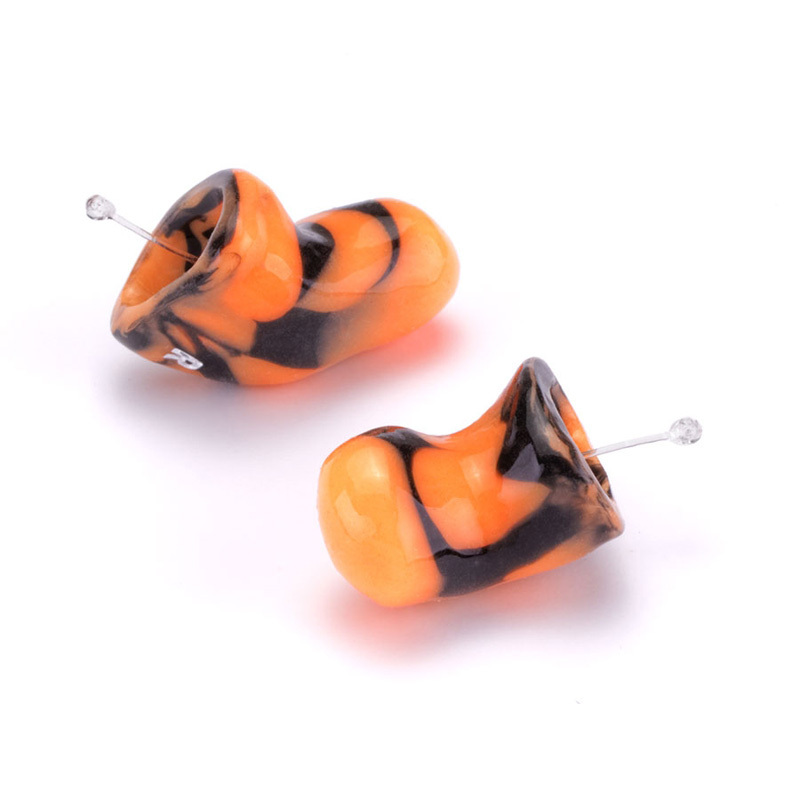 Custom earplugs can come with or without handles or detachable cords. Some custom earplugs block all sound while others allow some sound to pass through. You can use custom earplugs to reduce your exposure to loud sounds, such as rock concerts or noisy chores, on the job or for sleeping. Call The Hearing House to find the right solution for you. Musicians need to hear instruments and voices clearly but also need hearing protection from exposure to increased decibels (dB). Because they need earplugs specifically designed for mid to low-frequency protection, custom earplugs are used by many musicians. Musician earplugs are specially produced to avoid the muffled speech and sound that comes from conventional earplugs. 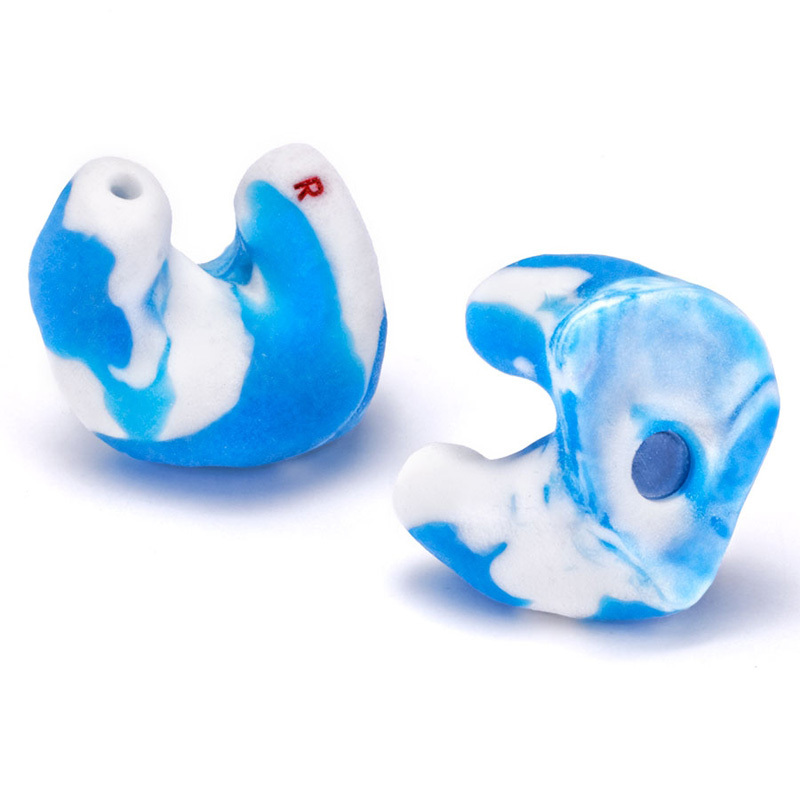 Musician earplugs come in custom and non-custom options. 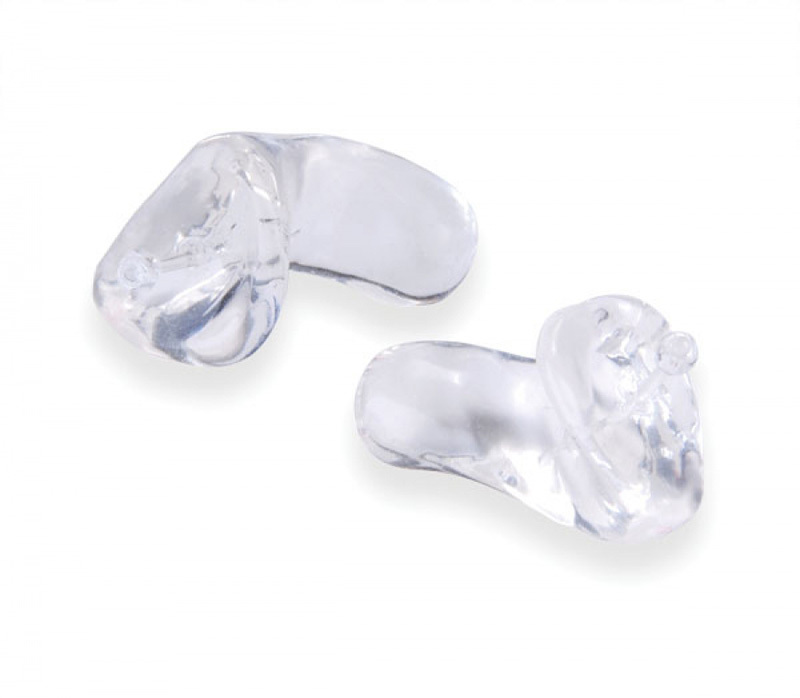 Ready-fit earplugs reduce harmful sound without distorting speech or music, cutting sound levels by about 20 dB. These earplugs sit deep in the ear canal to reduce occlusion (a hollow or boomy sound). This type of earmold allows for better quality of sound while practicing and performing. Musicians aren’t the only ones to benefit from musician earplugs. They’re also an excellent hearing protection option for sound crews, recording engineers, band teachers, concert attendees, disc jockeys, airline personnel, athletes and coaches, referees, motorcyclists, medical professionals and construction workers. Musicians performing for large audiences prefer in-ear monitors to clearly hear their music just as the audience hears it while protecting their hearing from loud amplifiers. These monitors work best if they’re custom-fit to each musician, but universal-fit options are available with special tips to allow for a semi-custom fit. 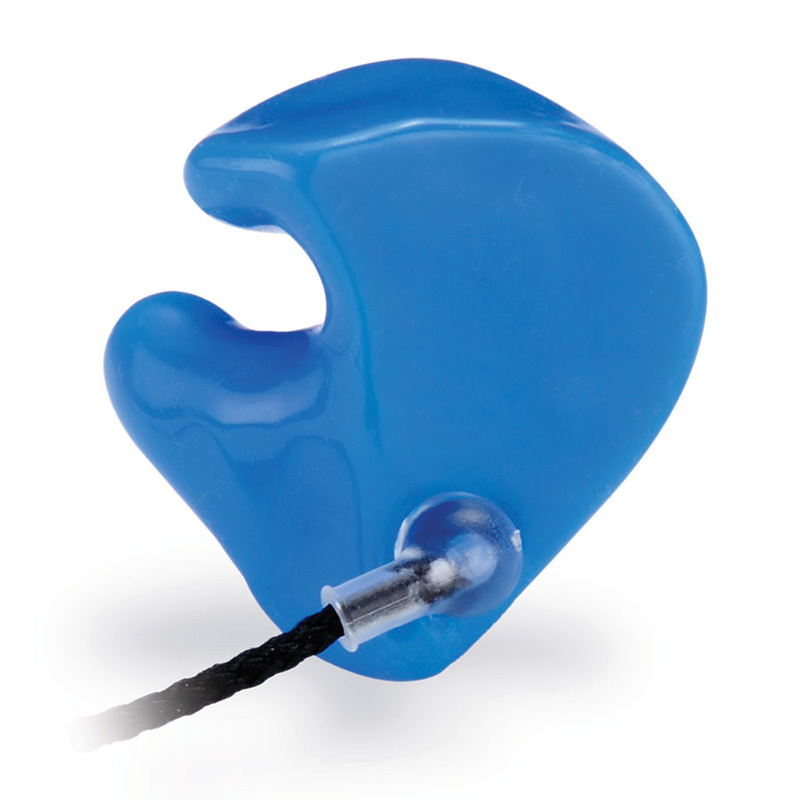 The Hearing House has custom-made earmolds and in-ear monitors to fit your unique ear shape. It’s extremely important that the ear impression used to make an earmold or monitor is of the best quality. Our professionals are highly-trained in this process and know the importance of an excellent fit. providing clear sound at reduced decibel levels. these devices provide water-tight protection during swimming and showering as well as noise reduction. They are designed to float. specifically designed with a hollow canal for use under a helmet, these also help reduce wind buffering. providing protection against surfer’s ear and swimmer’s ear, which can be caused by exposure to wind and cold water. These also float and allow the user to hear conversation. these devices are available for anyone working in high-noise environments or places with long-term exposure to loud noise. we offer several choices of hearing protection for hunters exposed to sudden noise. A filter allows for normal hearing and instantly closes when exposed to damaging noise levels. this style provides amplification for situational awareness and immediately deadens the noise (attenuation) when you pull the trigger. this style provides protection in two modes: Game Mode for intermittent shots and Clay Mode for continued shots. this style provides increased protection when firing larger caliber firearms (Normal Mode) and reduces wind noise when shooting in windy conditions (Wind Reduction Mode). At The Hearing House, our mission is to provide the best information, hearing evaluations and support to our clients. We value each and every one of our clients and pride ourselves on our personalized customer service. If you are exposed to loud sounds at work or at home, it’s time to see our hearing experts. We offer these free services you won’t find elsewhere: hearing assessments, video ear canal inspections, live hearing aid demos, real ear measured adjustments and cleaning for most hearing aids.